Stink bugs are insects that have a defense mechanism much like a skunk where they release a smelly fluid when they feel threatened. They also release this same smell when they are squished or killed in any fashion. 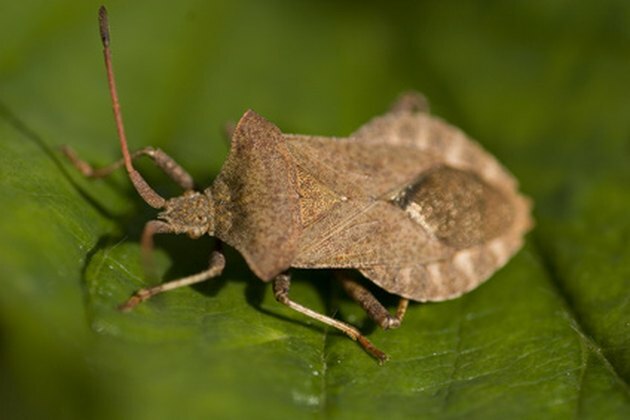 Stink bugs are sometimes known as shield bugs because of the shape of their bodies, but this can be confusing because there are other insects that are known as shield bugs that are not stink bugs. Stink bugs can leave a nasty stain when they are squished; removal of this mark can be simple or a bit more difficult depending on the material the mark is on. 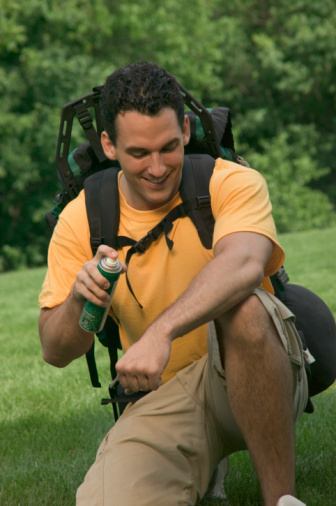 Spray glass cleaner on glass, vinyl or other hard surfaces that have stink bug stains. For fabrics, use spray stain remover. Allow the cleaner to sit for about five minutes. Scrub the area with paper towels on glass, or a sponge for all other surface areas.